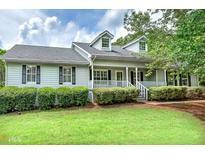 Find Mcdonough, GA Homes for sale. View Photos, Maps and MLS Data Now! St Andrews At Rockport - Back Deck With Private Wooded View. 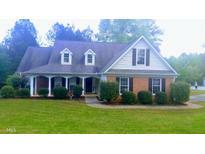 MLS#8567733. Woodforest Realty Llc. Located In Union Grove School District. MLS#8567641. Axis Realty Inc.. Owner'S Suite With Dedicated Sitting Room, His & Her Walk-In Closet, Master Bath With Double Vanity, Garden Tub, And Separate Shower. 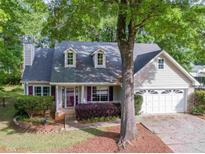 Contact Altanese Williams At 770-899-8895 MLS#8567414. Liberty Realty Professionals. 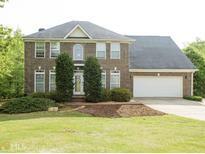 Enjoy Your Fantastic New Home In Ola School District. 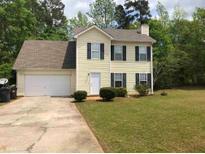 MLS#8567426. Liberty Realty Professionals. Wesley Lakes - Tenants Are Due To Vacate By Closing. MLS#8567105. Bhgre Metro Brokers. Mountain Brook Village - The Exterior Of This Home Has Been Freshly Painted And The Back Yard Is Enclosed With A Privacy Fence. MLS#8567155. Keller Williams Rlty Atl. Part. This Home Backs Up To Woods And Sits In A Cul De Sac. MLS#8566935. Southside, Realtors. Monticello - Won'T Last! Hurry Before It'S Gone! MLS#8567139. Preferred Realty Partners, Llc. St Andrews At Rockport - Minutes To I75, Shopping, Dining And Entertainment! MLS#8566894. Southside, Realtors. Do Not Wait, This Beauty Will Not Last Long. This Property Is Sold As-Is. MLS#8567211. Richardson & Associates Realty. Come See And Fall In Love With Eagles Landing And All The Amenities Available. MLS#8566503. Re/Max Advantage. This 4 Sided Brick Home Has An Unfinished Basement And Sits On A 1 Acre Lot. MLS#8566165. Southside, Realtors. Lakemont - Ready To Move In - Call Agent Only For Showing. MLS#8566146. Carol Griggs & Assoc. Realty. Country Lakes - Professional Pics Coming Soon This Is A Sneak Peak. MLS#8566398. Keller Williams Rlty Atl. Part. Seller Is Offering $5000 Buyer Bonus With Approved Lender (Lock Box On Mail Box Model Home Master Key Fits All Homes.. Stck Photos Home To Be Complete On 07/01/2019 Home Comes With The Privacy Fence, Whole House Blinds, Garage Door Opener With Two Remotes, Stainless Steel Appliances ( No Refrigerator) And We Pay For The Alarm System For The First Year! $5000 Incentive With Preferred Lender! MLS#8566469. Knight Realty Of Georgia. Seller Is Offering $5000 Buyer Bonus With Approved Lender (Lock Box On Mail Box Model Home Master Key Fits All Homes.. Stck Photos Home To Be Complete On 07/01/2019 Home Comes With The Privacy Fence, Whole House Blinds, Garage Door Opener With Two Remotes, Stainless Steel Appliances ( No Refrigerator) And We Pay For The Alarm System For The First Year! $5000 Incentive With Preferred Lender! MLS#8566464. Knight Realty Of Georgia. Not Complete For Viewings Stock Photos MLS#8566459. Knight Realty Of Georgia. Not Complete For Viewings Stock Photos MLS#8566461. Knight Realty Of Georgia. Not Complete For Viewings Stock Photos MLS#8566453. Knight Realty Of Georgia. Photos May Reflect Home Plan, Not Actual Home Completed 07/30/2019--- Under Construction All New Home Owners Will Receive The Following With Each Home Here: A Privacy Fence Garage Door Opener W/ Two Remotes Monitored Alarm System Stainless Steel Appliances Faux Wood Blinds Throughout Entire Homes! And Much More! MLS#8566476. Knight Realty Of Georgia. Stock Photos All New Home Owners Will Receive The Following With Each Home Here: A Privacy Fence Garage Door Opener W/ Two Remotes Monitored Alarm System Stainless Steel Appliances Faux Wood Blinds Throughout! MLS#8566490. Knight Realty Of Georgia. Stock Photos All New Home Owners Will Receive The Following With Each Home Here: A Privacy Fence Garage Door Opener W/ Two Remotes Monitored Alarm System Stainless Steel Appliances Faux Wood Blinds Throughout! MLS#8566486. Knight Realty Of Georgia. Not Complete For View All New Home Owners Will Receive The Following With Each Home Here: A Privacy Fence Garage Door Opener W/ Two Remotes Monitored Alarm System Stainless Steel Appliances Faux Wood Blinds Throughout! MLS#8566498. Knight Realty Of Georgia. Not Complete For View All New Home Owners Will Receive The Following With Each Home Here: A Privacy Fence Garage Door Opener W/ Two Remotes Monitored Alarm System Stainless Steel Appliances Faux Wood Blinds Throughout! MLS#8566494. Knight Realty Of Georgia. Familia - Use One Of Our Preferred Lenders And Receive $500 Credit. 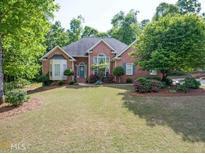 MLS#8565848. Southside, Realtors.